If not for the recent visit to Chui Huay Lim Teochew Restaurant, I do not even know the existence of the historical 170-year-old Chui Huay Lim Club at Keng Lee Road. If the club or road name sound foreign to you, they are to be too. I have to google map the location and realised it is near Newton Circle. 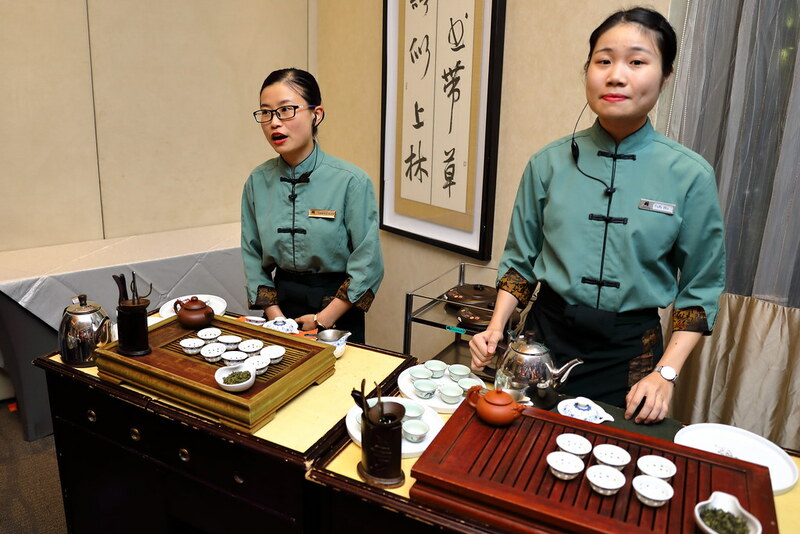 Before starting our dinner, we have a little introduction to the art of drinking tea. 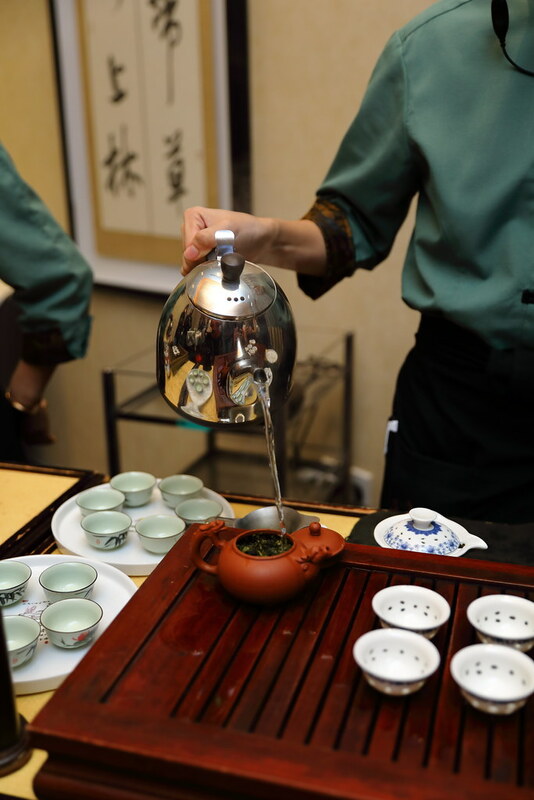 We started with washing the tea leaves and utensils, pouring the tea, holding the tea cup and appreciating the tea. Our dinner started with the Chui Huay Lim Teochew Cuisine Classic Platter ($58 for 6 pax / $98 for 10pax). 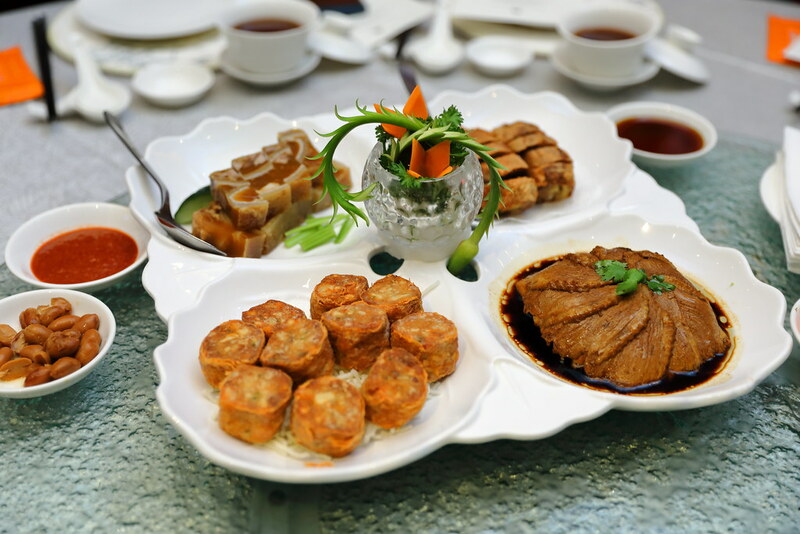 The platter consists of Teochew Braised Duck, Deep Fried Ngoh Hiang, Deep Fried Traditional Liver Rolls and Teochew Pig Trotter Terrine. Two items on the platter stood out for me. 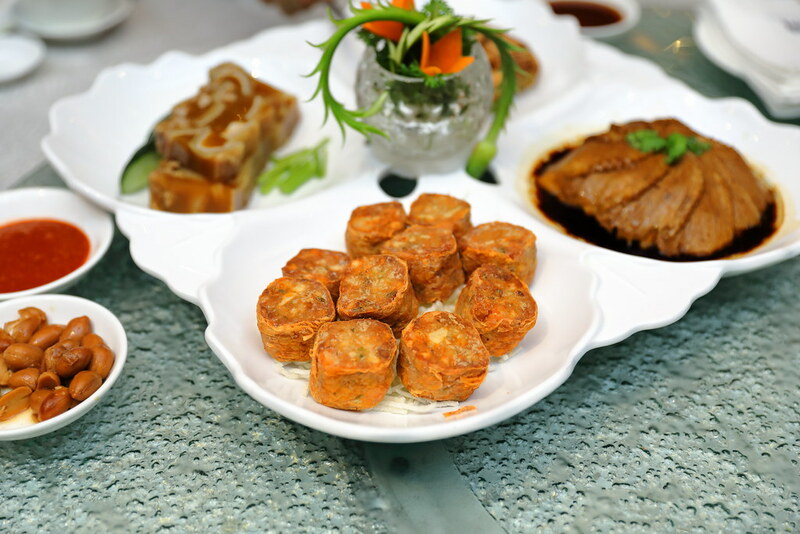 The deep fried liver rolls which is made with minced pig and chicken liver, yam and water chestnut wrapped in beancurd skin. It is crispy on the outside and substantial inside. Best to have together with the sweet sauce. The other is the pig trotter terrine which is hardly served on the dining table nowadays due to the meticulous preparation extracting the gelatin from the pig skin and freezing it. 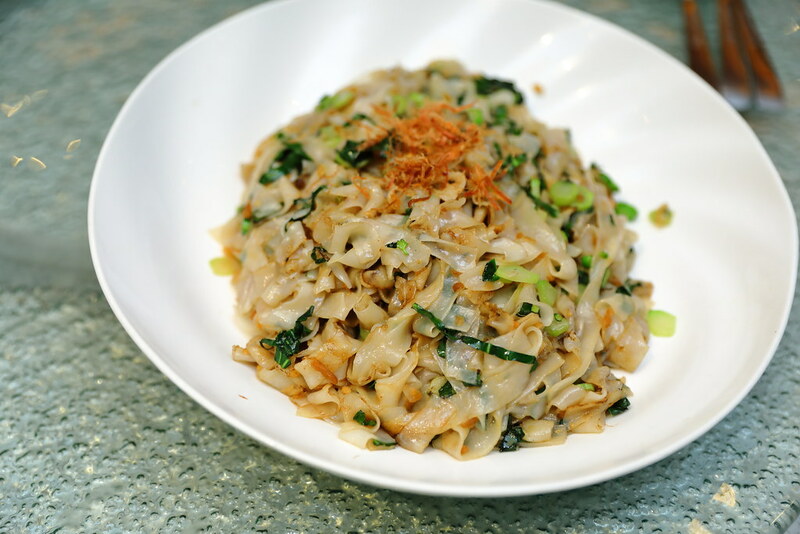 A dish that is packed with wok hei is the Wok Fried Kway Teow with Diced Kai Lan and Preserved Radish ($18/$27/$36). 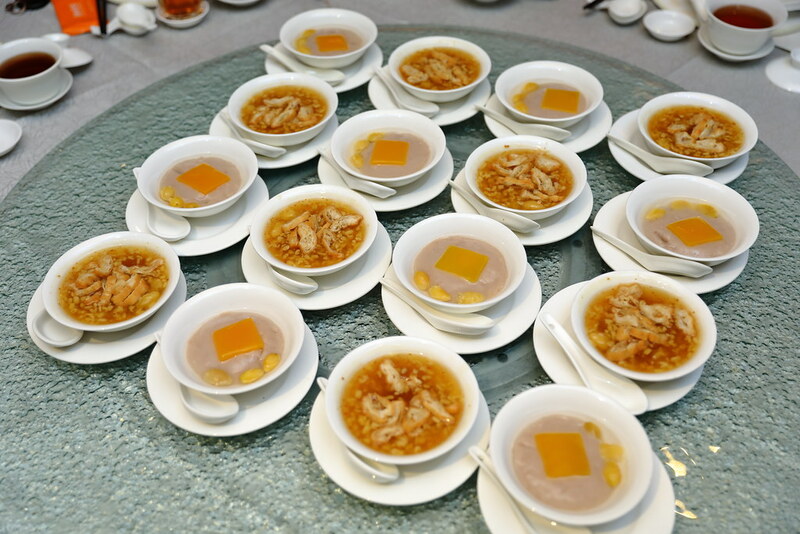 The addition of the diced kai lan and preserved radish provided the extra crunch to the finishing. We are kind of surprise when the whole Suckling Pig weighting around 3.5kg to 4kg was brought into our dining room as it was originally not on our menu. The specific weight of the piglet was chosen for its thinner skin, to get that desired crispiness. No short cut is taken here, like pre-bathing the piglet to speedup the cooking. The whole piglet is roasted from raw. A specialty at Chui Huay Lim Teochew Restaurant has to be their Teochew Oyster Omelette Gooey Style ($22). The restaurant even has a delegated chef to just cook the dish. It will be freshly cook upon order which takes about 20 minutes of waiting time. What so good about the orh luak here is the consistency, where each mouthful gets you the gooey and crispy texture. This is best paired with the slightly sourish chilli sauce. In celebration of its 7th anniversary. the restaurant has created a limited edition menu that features 7 a la carte dishes between 3 September to 30 November 2018. 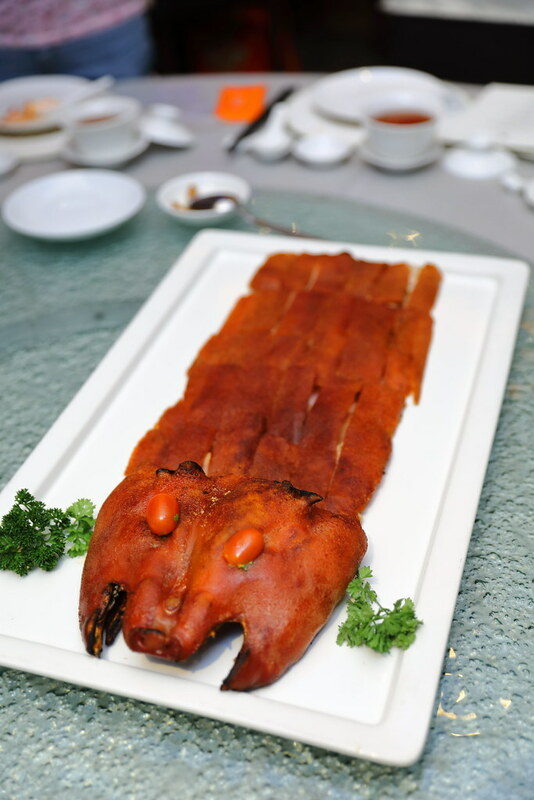 These delicacies include time-honoured dishes as well as unique takes on popular favourites. Among the 7 dishes specially created for the 7th anniversary, we tried the Homemade Fish Balls and Fish Cake Braised with Tianjin Cabbage in Superior Broth ($22/$33/$44) and Crispy Fried Pork Belly and Water Chestnut Rolls Tossed in Sweet & Sour Sauce ($18/$27/$36). 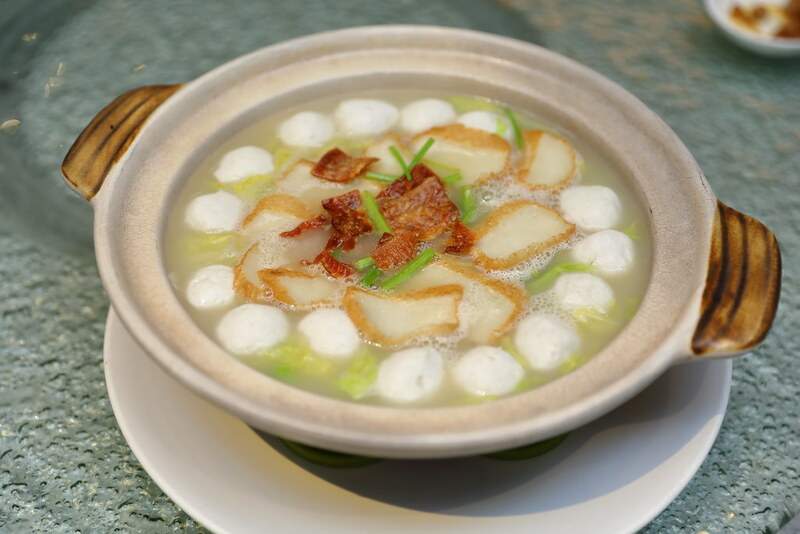 Simmer for hours in chicken and pork bones is the Homemade Fish Balls and Fish Cake Braised with Tianjin Cabbage in Superior Broth. 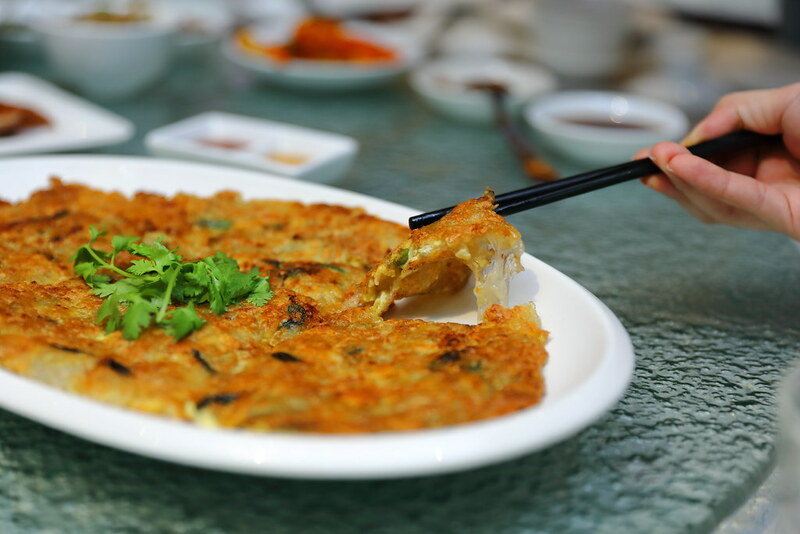 The bouncy fish balls and fish cake are made from yellow eel, which is prized for their sweet flesh. 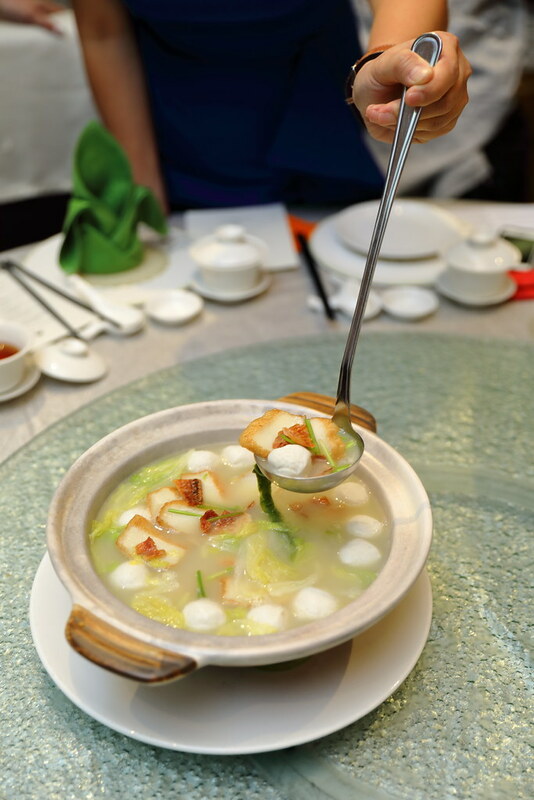 The tianjin cabbage was also cooked to a delectable softness that emits a comforting sweetness to the superior broth. What lights up my taste buds is actually the hint of sourness amidst the sweetness from the salted vegetable. 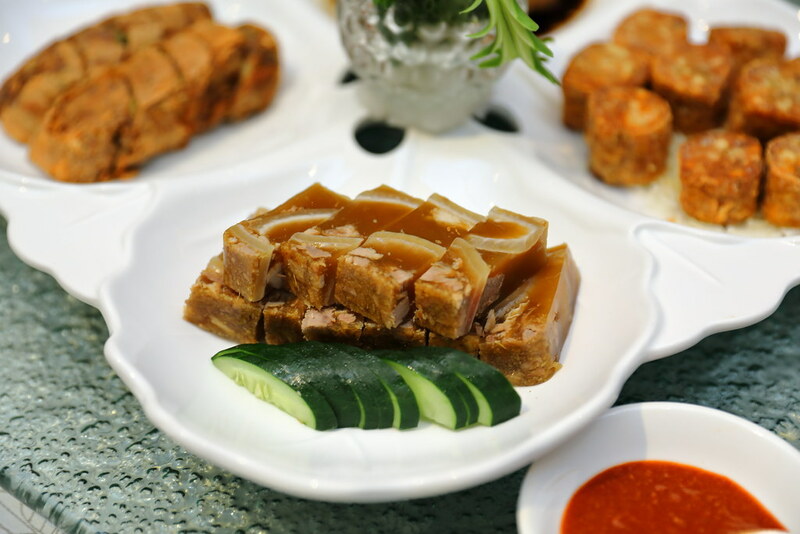 The Crispy Fried Pork Belly and Water Chestnut Rolls Tossed in Sweet & Sour Sauce is a heritage dish that has marinated pork belly and crunchy water chestnut wrapped with pig's caul fat. A traditional way of preparing it. It is steamed, deep fried and then glazed in a sweet and sour sauce. 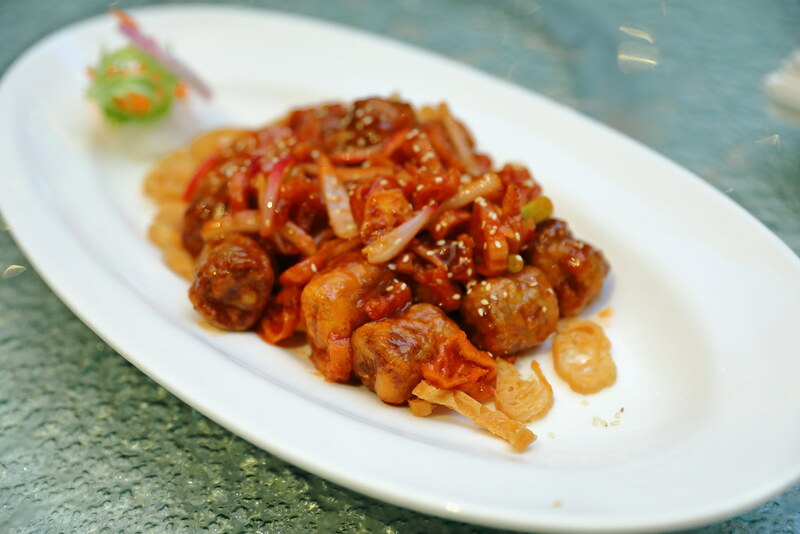 It is similar to sweet and sour pork but the roll itself is more meaty, almost like a ngoh hiang. You tiao is also added for that extra layer of texture. I would definitely recommend you to save some space for dessert. The Teochew Tau Suan with Gingko Nuts ($5.20) here are really special. The restaurant added orange peel in the dessert, which elevates the traditional dessert for a unique enjoyment. As for the Yam Paste with Pumpkin and Gingko Nuts ($5.20) the distinct fragrant from the pork lard brought a smile to my face. I have eaten too many yam pastes that do not use pork lard anymore which I thought it lacked that final punch to win my palate over.